All trusts are classified into two basic types: simple or complex. This distinction is determined by the structure of the trust and how its assets are distributed. Below is a brief rundown of how a simple trust is different from its complex counterpart. A simple trust (also known as a bare trust) is a type of trust where beneficiaries are only given any accumulated interest from a trust fund account until a predetermined time period has passed. Once the prescribed period is over, the beneficiaries are entitled to have access to the principal and accumulated interest for the duration of the trust. In a simple trust, it is the trustee’s sole responsibility to make sure the beneficiaries receive the trust property as specifically stated in the trust agreement. A trust, regardless of the type, is governed by the terms and conditions of the trust agreement. Simply put, a trust agreement is a contract between the grantor (i.e. settlor) and the trustee stating the grantor’s instructions. All the details about the provisions, distribution, and management of the trust property – including the responsibilities of everyone involved – are all contained in the trust agreement’s terms and conditions. Any conflicts or issues that arise can be resolved by a judge in accordance with state trusts and estates laws. Setting up a simple trust is usually less expensive because the trustee’s work is clear-cut and simple. However, costs may go up if more properties are involved in the trust. This would mean more man hours needed for tax planning, record keeping, and account maintenance. In addition, a simple trust is required by the Federal income tax law to distribute all net income from the trust property on a yearly basis. Estate properties are often transferred into a complex trust. 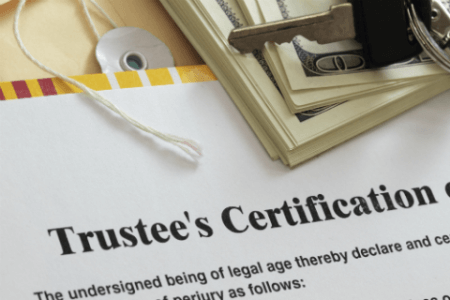 Here, it is the trustee’s responsibility to make sure all estate matters are managed in addition to distributing its assets as stipulated in the trust instrument. Estate management responsibilities include estate tax payments, bill payments, and maintenance expenses. So what’s the difference between a simple and a complex trust? The fundamental difference is that any trusts that do not meet the requirements of a simple trust are classified as a complex trust. In a simple trust, a trustee is required to do nothing else but to make sure the trust property is distributed at a specified time as stated in the trust. A trustee in a complex trust is given a mandate to manage the affairs of the trust property, including making investment decisions for the benefit of the trust beneficiaries. In a simple trust, all net income generated by the trust property is distributed on a yearly basis. Any accumulated interest is distributed once an established period had passed. A complex trust, on the other hand, may retain income from investments but the funds may be distributed as long as the terms and conditions of the trust are met.